Raymond G. Bender serves as an independent commercial Arbitrator in domestic and international disputes. He is a member of the American Arbitration Association’s (AAA) Roster of Commercial Arbitrators for Washington, D.C., Technology, and Large Complex Cases; the CPR Panel of Distinguished Neutral Arbitrators for Washington, D.C., Technology and Cross-Border (i.e., international) disputes; and the International Center for Dispute Resolution (ICDR) Panel of International Arbitrators, and ICDR Panel of Aviation, Aerospace and National Security Arbitrators. Ray has served for more than a decade as an Arbitrator in AAA, CPR, ICDR, International Chamber of Commerce (ICC), and ad hoc arbitrations. Ray serves in commercial disputes generally, including large complex cases, and has gained a particular expertise during a 35-year career in private law practice, and as an Arbitrator, on issues affecting high-tech industry sectors, including telecommunications, information technology, aerospace and satellites, computer hardware and software, biotechnology, patent and trademark licensing, intellectual property, Internet and broadband communications, and other technology-based businesses. Ray was an Adjunct Professor at Washington College of Law, American University, Washington, D.C., from 2010-2017, where he taught Alternative Dispute Resolution Law; a member of the International Arbitration Faculty of the International Law Institute, Washington, D.C.; and formerly an Adjunct Professor at the Nitze School of Advanced International Studies, The Johns Hopkins University, where he co-taught International Telecommunications from 1998-2005. Ray is a member of the Federal Communications Bar Association, the Society of Satellite Professionals International, the Washington Space Business Roundtable, and the Washington Foreign Law Society. He has been recognized in Washington DC Super Lawyers and in Best Lawyers in America. 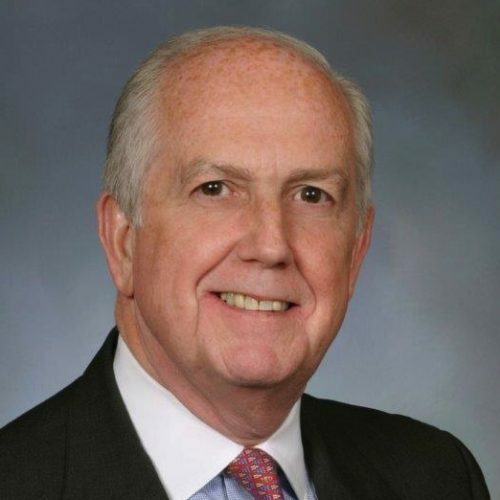 Ray holds a Bachelor of Science in International Affairs from the Edmund A. Walsh School of Foreign Service (1969); a Juris Doctor (1973); and a Masters of Law in Taxation (1987), each from Georgetown University, Washington, D.C.
Ray has authored numerous articles on arbitration and technology-related disputes. See e.g., Arbitration — An Ideal Way to Resolve High-Tech Industry Disputes, Dispute Resolution Journal (Nov. 2010 – Jan. 2011).